If you’re anything like me you’re obsessed with tracking your health & fitness progress. Whether it’s your workouts or tracking your nutrition, its all critical to document! Knowing your progress is important to reaching your fitness goals. 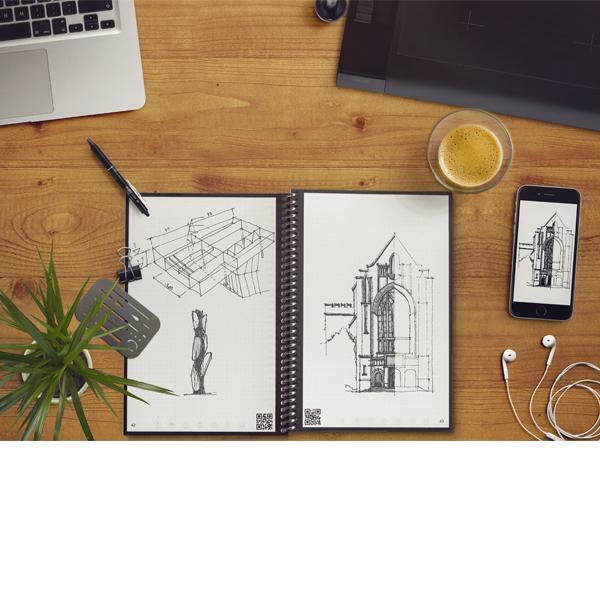 That is why I am so excited to tell you about the Everlast notebook from Rocketbook. It makes tracking your gains, your workouts, and your nutrition SO EASY! It comes complete with an app and you can easily scan your notes right into Dropbox or Google Drive. And its key-coded so your notes all go right where you need them. You will never lose track of your reps, sets, PRs or your food diary. Keep reading to learn more. 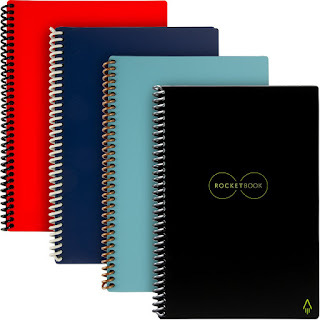 The Everlast notebook by Rocketbook provides a classic pen and paper experience that is built for the digital age. Sometime it is just easier to take notes on paper than to use my phone- this is why I LOVE RocketBooks Everlast Notebook. But it has all the benefits of digital notes- you can easily scan them right to your cloud service. Although it feels like a traditional notebook, the Everlast is endlessly reusable. Then, scan your notes into editable documents and automatically save them to your favorite cloud services like Dropbox, Google Drive, Evernote and Slack (to name a few). This means you’ll never lose track of your progress, and no more flip pads at the gym. 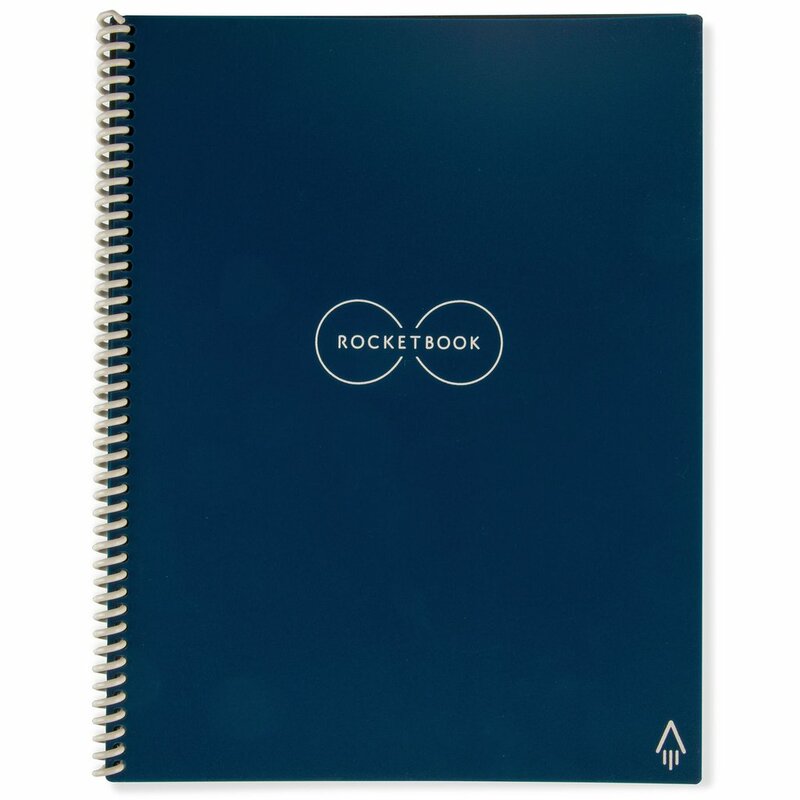 Rocketbook allows you to document all your workout notes in an efficient and environmentally-friendly way, and with its reusability, Rocketbook will last a lifetime. And with Optical Character Recognition (OCR) features, the Rocketbook allows you to transcribe and search handwritten notes right in the Rocketbook App. When you write using any pen from the Pilot Frixion line, your writing sticks to Everlast pages like regular paper. But add a drop of water… and the notebook erases like magic. Great for the environment because its totally reusable. Its the perfect size to take to class, take to the gym, use in your home gym or keep in your bag. Its perfect for jotting down all your meals & snacks. Accountability is key to success and the Everlast Notebook allows you to keep track of everything. With the arrival of Spring, you're starting to think ahead to summer and vacations. You're ready to shed those bulky winter clothes and slip into shorts and swimsuits--but you're worried that the remains of too many holiday parties are still hanging on your hips. 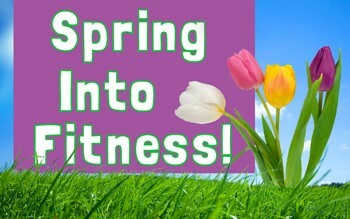 Spring is the perfect time to get moving again--why not take advantage of the next few months to get your body fit and lean for summer? William Smith, MS, NSCA, CSCS, MEPD, recognized authority on fitness and exercise and author of numerous publications, offers these tips for those who desire safe, effective weight loss. That's right. Get up and get yourself moving, whether it's walking, swimming, biking, or running. Try to do at least 15 minutes a day of aerobic activity. It is essential for good health and will burn excess calories. Shift your fitness focus to your health, not just your appearance. You can add years to your life and reduce major health risks by following a sound nutrition and exercise program. And you'll look better and feel better too! If it sounds to good to be true, it is. From "fat burning" diet pills (dangerous) to electronic ab stimulators (really! ), the promise of results without effort is just a marketing gimmick designed to reduce your wallet--not your waistline. Proper diet and exercise go hand in hand. One without the other is a recipe for failure. Just because you walked for 30 minutes doesn't mean you can reward yourself with a pint of your favorite ice cream! Americans take in too many calories. Period. From super sized meals at fast food restaurants to enormous servings at our favorite steakhouse, we are on the receiving end of an abundance of calories. Weight reduction is a caloric formula. Calories in (through eating) versus calories out (through activity). It's that simple. Stick with smaller portions. For many of us, winter is a time of sedentary living. Now that you are ready to commence a plan of exercise, make certain you stretch your muscles for at least one whole week before starting. This way, your muscles will be ready for exercise and you'll be less sore. 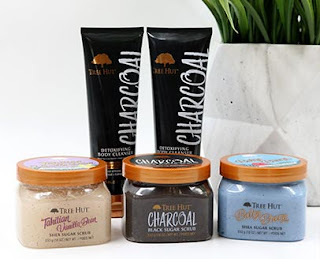 Exciting news from an amazing Tree Hut!- my fav skin & beauty care line. This year, Tree Hut has partnered with The Arbor Day Foundation to give back to nature with a #TreeHutxArborDay campaign! 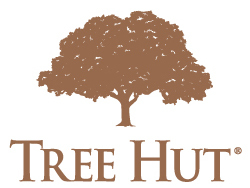 In celebration of Arbor Day (April 26th), for the entire month of April, Tree Hut is giving 10% of proceeds for every product that is sold on TreeHutShea.com to the Arbor Day Foundation! Such a great cause that I know we can all get behind. 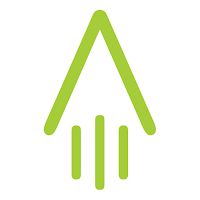 Through this campaign, in honor not just of the brand’s tree logo and namesake, but of the natural wonders that inspire the Tree Hut team and the products they create every day, Tree Hut is showing their support for The Arbor Day Foundation’s mission to get 100 million trees planted by the year 2020. Keep reading to learn more about their awesome skin care products. I had the pleasure of reviewing their Shea Sugar Scrub and their Shea Body Butter. I loved them both, super luxurious, heavenly scented without being overpowering and both work great! The Shea Body Butter is non-greasy and absorbs easily into your skin. The Sugar Scrub is an excellent exfoliator that contains shea butter so it nourishes and moisturizes your skin while gently exfoliating. I love their Coconut Lime and Hawaiian Kukui varieties and cant wait to try some of their other fragrance lines. 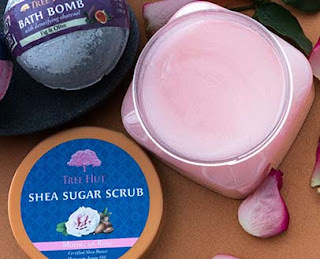 Tree Hut has so many amazing products available in so many great scents you will have a hard time choosing. You can shop by product line or scent, making it super easy to find exactly what you are looking for. 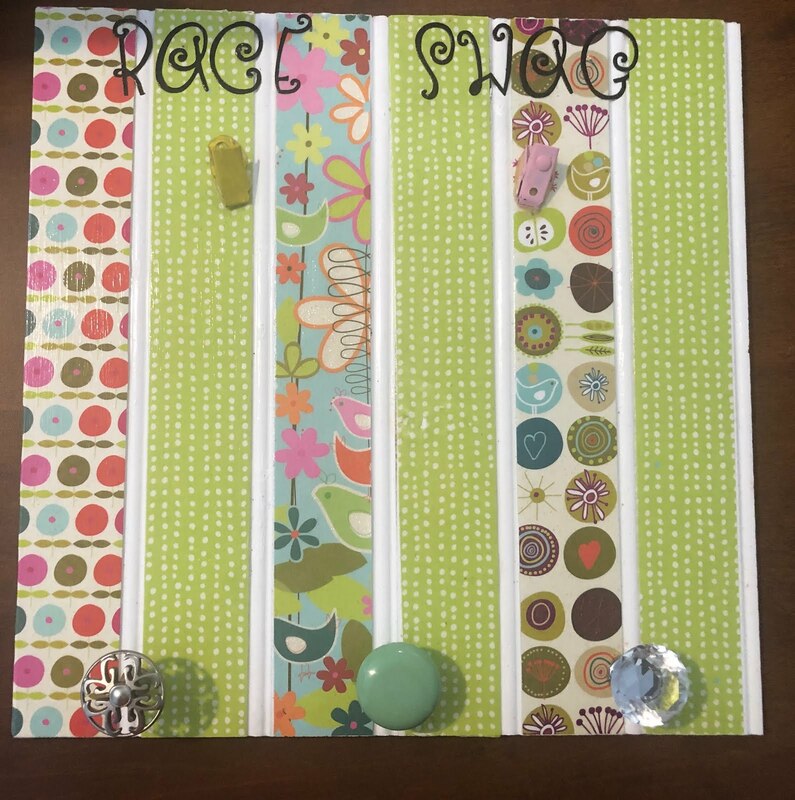 Great for gift giving, and great for gifts for yourself! I love layering my products within their scent lines for a great all day scent. Check out the yummy scents below. So many amazing fragrances to choose from! 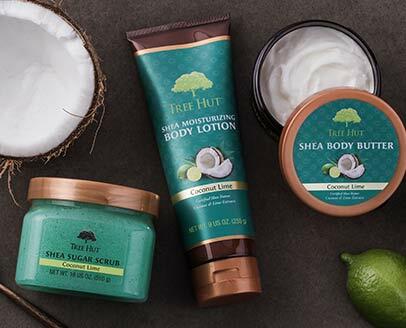 From lotions and butters to scrubs and sunscreen, Tree Hut covers the full spectrum of specialty bath products that delight your senses and nourish your skin. They offer Detoxifying Charcoal Face Masks, Body Butters, Body Lotions, Bath Bombs, Shea Sugar Scrubs, and more! Find a product or scent line you love & explore the possibilities. 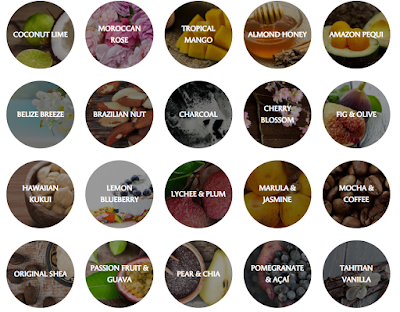 Tree Hut's fragrances are all inspired by ingredients in nature that smell good enough to eat. Lose yourself in the aromas of the world from the comfort of your own home. If you have occasional sore back, stiff muscles, or body pain- you need to try SALONPAS®. Unlike pills, Salonpas formulas areabsorbed through the skin and go directly to the pain site, which makes way more sense to target your actual pain than swallowing a pill and allowing it to effect your whole body. I am a huge fan of all of the Salonpas products I have had a pleasure of trying. They have creams, patches, roll-ons and even sprays. 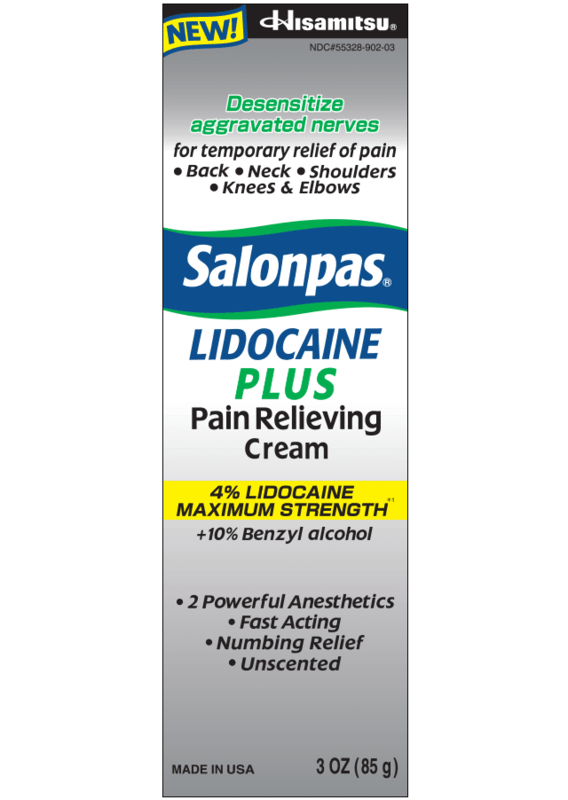 My favorite SALONPAS product is their Lidocaine patches, Pain Relieving Cream & a Roll-on Liquid. If you have a stiff back & sore muscles-you need give Salonpas a try. My back loves it! Perfect for after a tough workout or when waking up with a stiff back. I love the sprays, patches, & roll-ons for mess free application! Keep reading to learn more. Finally maximum strength pain relief without a prescription! 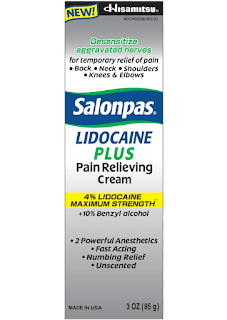 Introducing Salonpas® Lidocaine Plus Pain Relieving Cream. 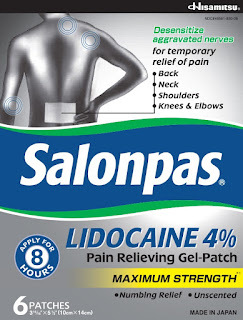 It’s the latest & greatest from the world’s leader in medicinal pain patches -Salonpas! The cream provides temporary relief of pain associated with back, neck, shoulders, knees and elbows. I have lower back issues and after a long run, tough workout, or even just sleeping wrong on it, the cream works great to desensitize aggravated nerves and provides wonderful numbing relief right where it hurts. It is unscented so you can use it any time of day or night without being noticed. 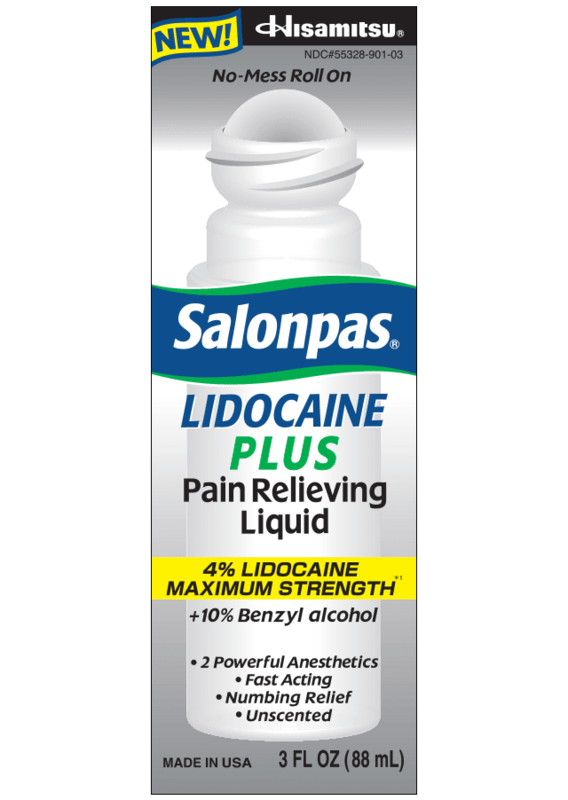 Salonpas® LIDOCAINE PLUS Pain Relieving Liquid is an awesome roller ball so it goes on easy without the mess. 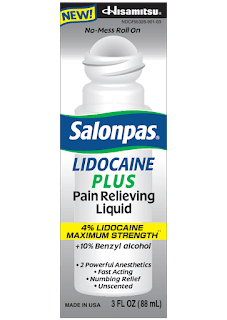 SALONPAS cream & liquid is applied right at the site of pain, so it doesnt have to travel through your stomach and get processed by your liver before they start to work. They come in a variety of forms and sizes, so regardless of where your body pain is, there are products that are designed to fit. SALONPAS requires a lower dose of medicine, because they target relief where you need it. There’s no need to worry about incorrect dosing or side effects; it’s an effective and safe plan for pain management. Find a store near you with the Salonpas store locator. 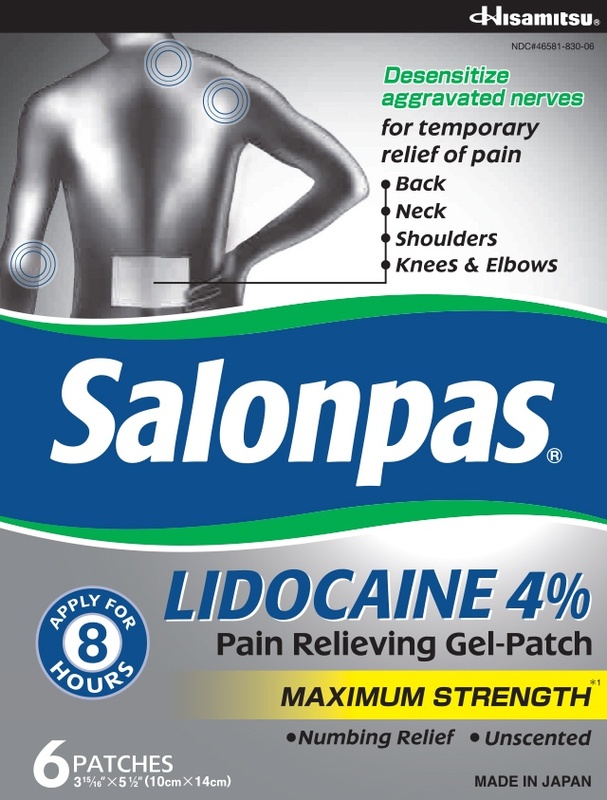 Salonpas® is the #1 brand of patches in the world, and the largest marketers of pain relief patches in the USA. Hisamitsu has the only OTC pain patch on the market that has gone through the FDA’s new drug application process, so it’s been tested and approved for sale using the same methodology required of a prescription drug. And the Salonpas® Pain Relief Patch and Arthritis Patch are the only products in their class that can claim up to 12 hours of relief for mild to moderate pain! 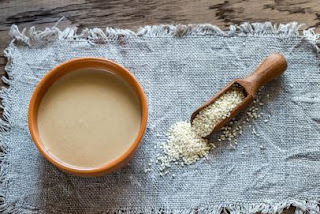 Taking Sesame to New Heights: MIGHTY SESAME BRAND, who makes my favorite bars: TahiniBars has just introduced a fabulous new tahini must have: Tahini Squeeze & Serve. It is organic, delicious, easy to use, super versatile and GREAT for you! It is also vegan, gluten free, dairy free, kosher, keto-friendly and did I mention DELICIOUS? Mighty Sesame is a company we cal all stand behind, they source sesame from the most reputed growing region in the world, Ethiopia, and trade sustainably with producers to ensure fair wages for farmers in a win- win exchange for the world’s mighty finest sesame.Keep reading to learn more and check out the recipe below. Mighty Sesame’s versatile ready to eat, Squeeze and Serve Tahini is sold in convenient squeeze bottle, making it perfect for all your snacking and cooking needs. 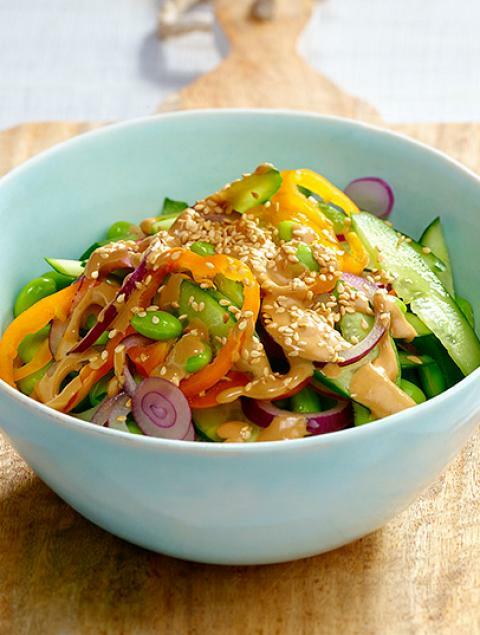 It is more than just a companion to hummus- tahini is very versatile. Wonderful in place of butter, or mayo in many recipes. Try it on toast, crackers, or as a veggie dip. The possibilities are endless. Made from 100% slow-roasted sesame seeds, this healthful condiment is at home in everything from dips, marinades, and salads to soups, desserts, and as a straight-from-the-bottle drizzle over meat, fish, and falafel. It’s organic, vegan, gluten- and dairy-free, kosher, halal, and Keto-friendly – the perfect way to add flavor to any diet with just one ingredient- sesame seeds! In a bowl, mix together miso paste, tahini, hot water and lemon juice. In separate bowl, ix together cucumber, onion, edamame and bell pepper. Drizzle with olive oil and season with salt and pepper. Add dressing mixture and mix well. Check seasoning. Place on serving platter and sprinkle with sesame seeds. 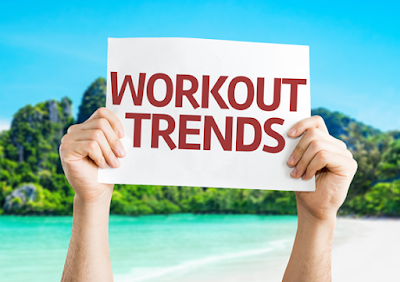 WHAT ARE THE PROS AND CONS OF 2019’s TRENDY WORKOUTS? People choose spinning for a variety of reason including weight loss, cardio and stress relief. Spinning is great for weight loss if done correctly and with a sensible diet that produces a caloric deficit. Vince Sant cautions that ”Spinning excessively can actually lead to atrophy of the muscles in your legs which is the opposite of strengthening them. The simple truth is that losing weight without strength and weight training can and will lead to atrophied and weakened muscles throughout the body”. Although cycling helps build some muscle, doing excessive amounts of cycling without the addition of strength training is not a comprehensive well-rounded workout. This is a combination of cardio and strength conditioning. As examples, think of P90X, CrossFit, Insanity, or high-intensity circuit training. Metabolic training is about increasing "the storage and delivery of energy for any activity." If you do this type of training the correct way, you can burn more calories, get ‘afterburn,’ build endurance, strength, and fitness while having variety. Since this type of exercise seems to have so many benefits, why doesn’t everybody just do it? “The problem,” says Vince Sant, “Is that it’s just too intense for many beginners.” The cons of this workout are that there is a high attrition rate, a risk of injury and muscle soreness. If you are set on doing this program, Vince advises to bone up on more basic fitness first. Vince Sant, 25, is the Co-Founder of V Shred, the fastest growing online fitness and nutrition portal in the world. As an ISSA Certified Fitness Trainer, Former Model Turned Fitness Expert, Instagram Fitness Guru & YouTube Sensation, Vince’s mission is to offer the masses a sustainable and transformative lifestyle-based training program designed to put the fun back into fitness and nutrition. In 2015, Vince co-founded V Shred along with Nick Daniel, Roger Crandall, Kevin Pearn, who sought out to create a healthy fitness movement specifically designed to deliver profound changes in your body with the minimal amount of workout time. Vince is responsible for creating some of the world's most popular fitness and nutrition programs such as Fat Loss Extreme and Toned in 90 Days for women and men and Ripped in 90 Days for men.